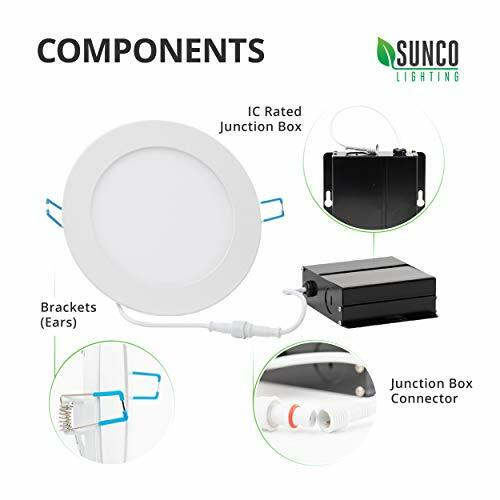 ✅ IC RATED - Sunco's slim LED downlights are IC rated, meaning the junction box is thermally protected and designed to be installed in the ceiling surrounded by insulation. 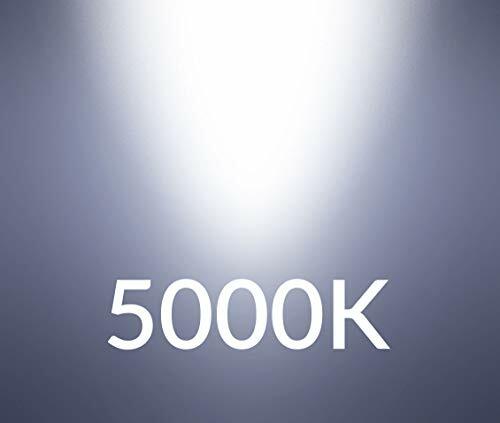 Worry free installation, our retrofits won't overheat and cause a fire in the roof or overhead joist space. 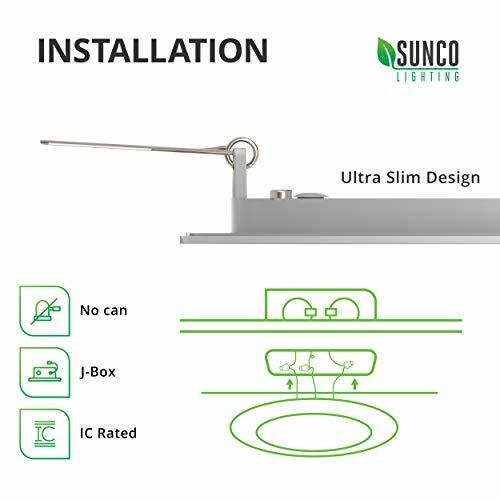 ✅ SIMPLE INSTALL - Sunco's LED slim downlights come equipped with a junction box which means they do not need a can. 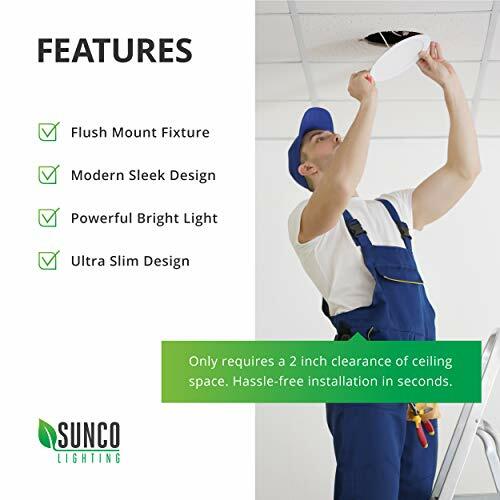 Cut a hole in your ceiling to size then fold the spring loaded brackets in while pushing up into the hole. 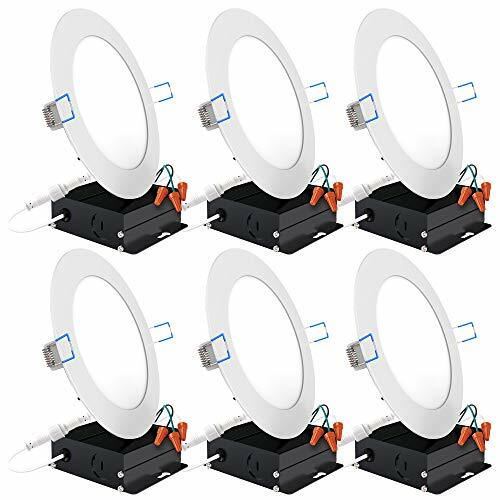 Directly install to the ceiling for instant bright light and seamless dimming in your kitchen, family room, bedroom, bathroom and common areas in your home or office. 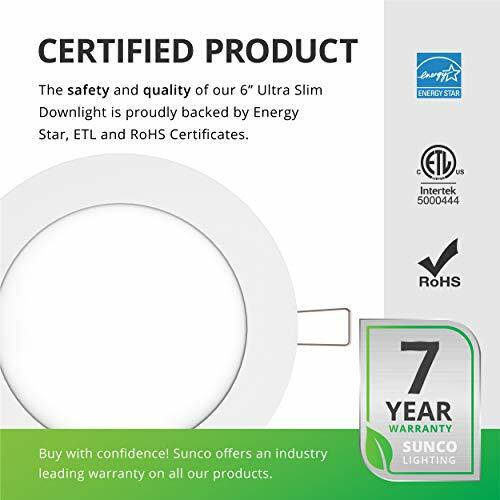 ✅ ETL CERTIFIED & ENERGY STAR LISTED - We uphold the highest standards for all our products by testing each product for optimal performance and safety. 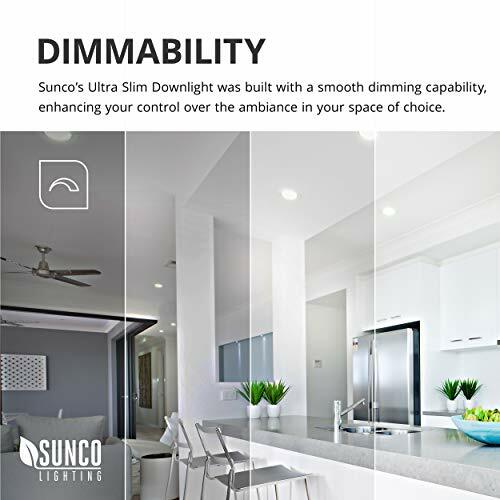 Our slim downlights are instant on, which means no buzzing or flickering for eye comfort. 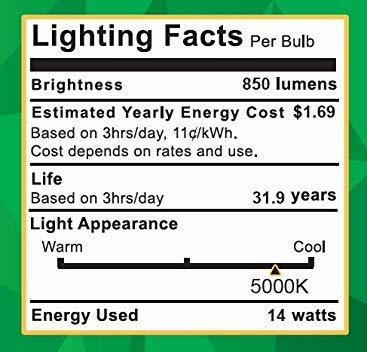 Eco-friendly means our lights contain no mercury and don't emit UV or IR. 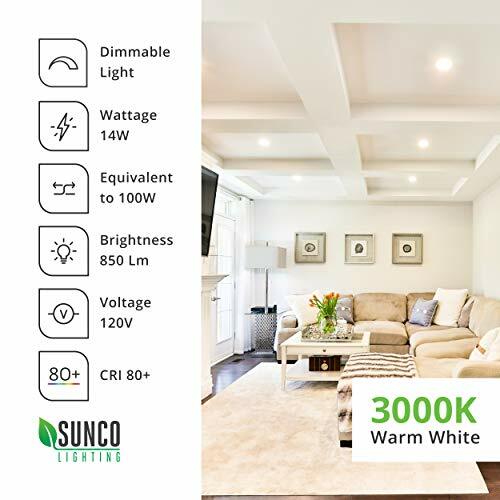 ✅ SUNCO BENEFITS - 7-Year Warranty! 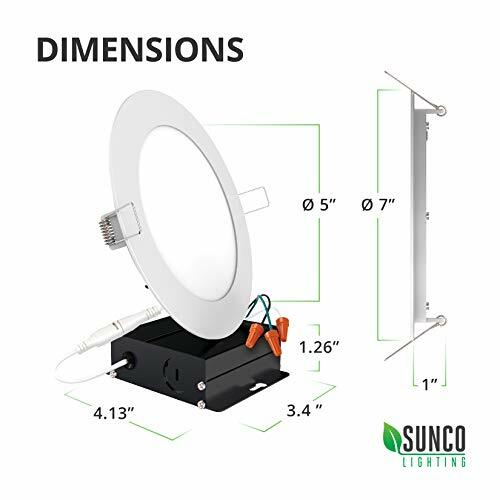 Sunco is proudly based in the USA, offering quality products at affordable prices backed by industry-leading warranties and knowledgeable support specialists.